You save $44.05 Over 44% saving! 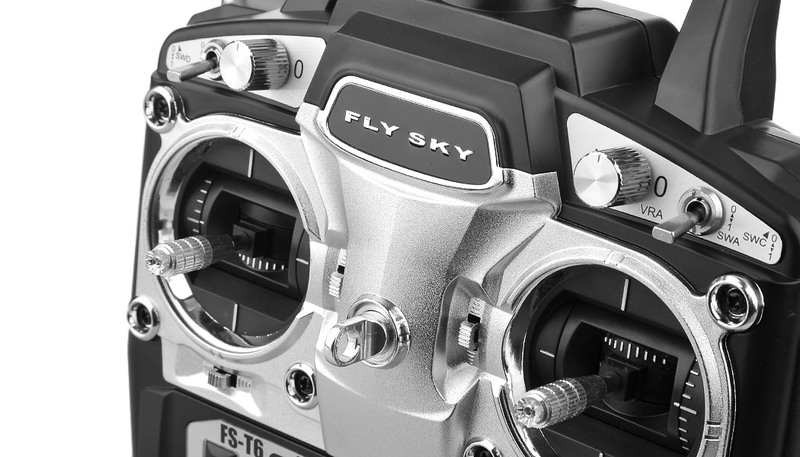 FlySky Introduces its newest 6 channel 2.4GHz system, The FS-T6. After years of success with the CT6B, FlySky presents the new FS-T6 with loads of cool and convenient features making the operation of this transmitter simple and instinctive. 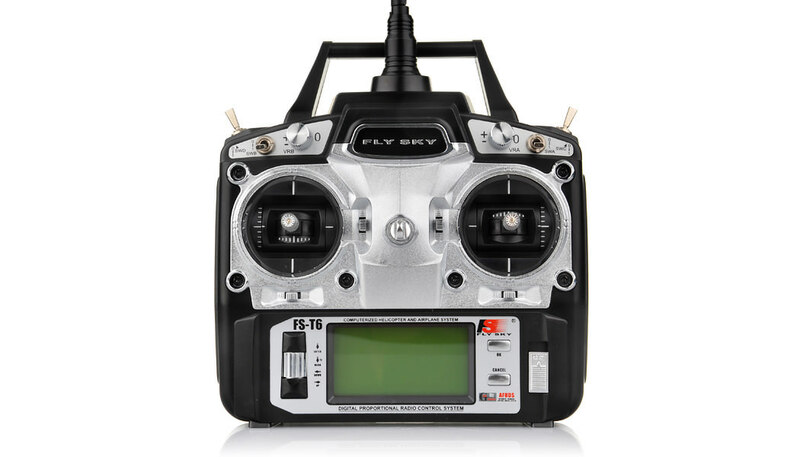 The 6-channel FlySky FS-T6 is the perfect transmitter for sport modelers who want the power of a programmable transmitter but don't necessarily need a lot of excess features they do not use. It includes all of the important features and programmable parameters to support a variety of helicopters, gliders, and airplanes. It even has the ability to store 20 models allowing the user to save a whole fleet of aircrafts. 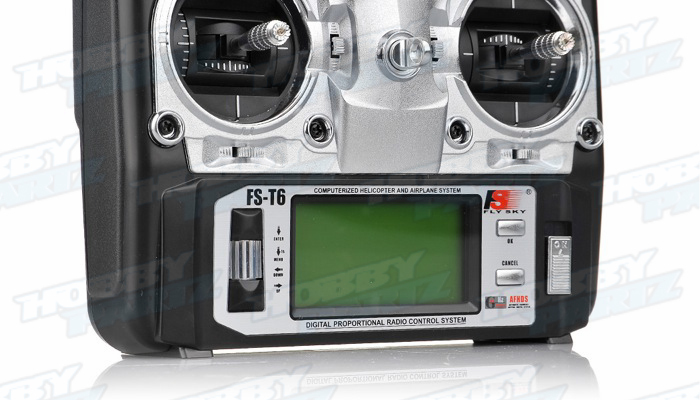 Programming the FS-T6 is very easy and intuitive. 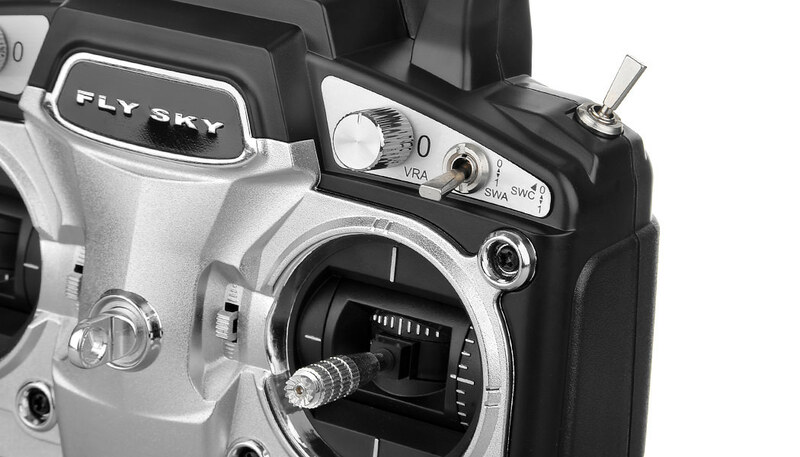 It is implemented with a simple click and scroll dial allowing quick and easy menu navigation and manipulation. The large backlite LCD screen with large fonts is easy to read and the simplified menus will immediately put first-time programmers at ease. Many programming functions like throttle curves and expo are graphically depicted to give you a clearer picture of the changes you're making. 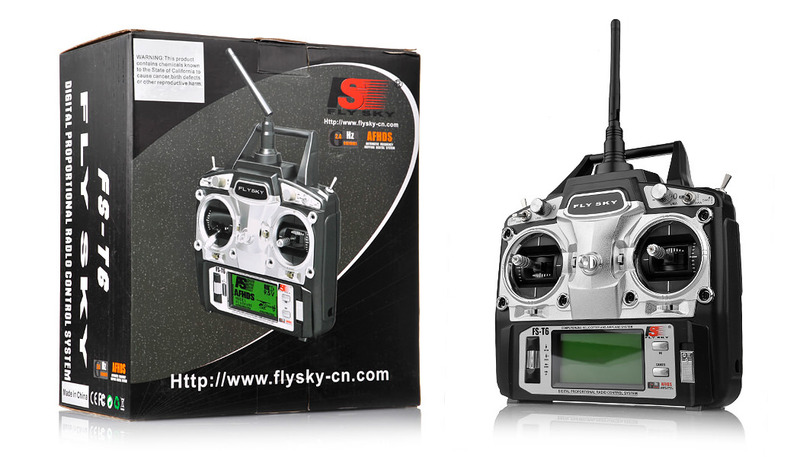 FlySky?s AFHDS (Automatic Frequency Hopping Digital System) 2.4GHz system offers a lot of advantages. It is equipped with a super active and passive anti-jamming capability and has very low power consumption with high receiver sensitivity. The 2.4GHz system puts the radio out of the frequency range by any ?noise? generated by other electronic components in your model such as the brushless motor, speed controller, servos, or other metal to metal noise. This eliminates interference and glitching that can plague a traditional radio system. 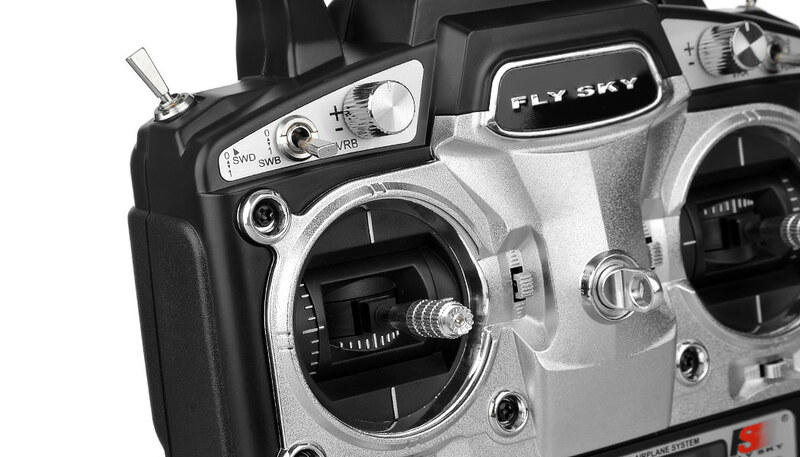 Extreme rigorous testing by FlySky engineers makes this AFHDS system solid and worthy.